Icaro 015 collection also boasts a versatile console with an extremely clean line, perfect to enhance any environment. 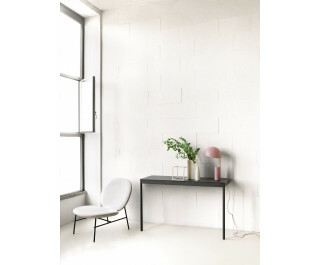 Tables, small tables or console with frame and drawers in steel white or graphite matt finishes, tops in toughened glass 8 mm white or graphite in the matt or glossy versions, or in ceramic 6 mm white calce, concrete, asphalt and lava colours. Drawers on full extension ball bearing slides. Drawers storage accessories in washable black neoprene (optional).